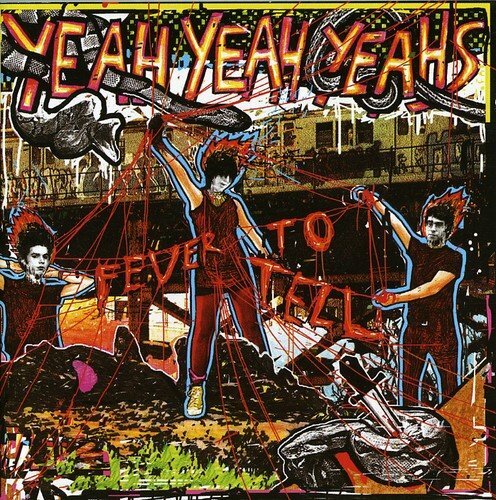 The highly anticipated debut album by the Yeah Yeah Yeahs turns out to have been worth the hype. The 12 tracks included on ‘Fever To Tell’ have the charm of New Wave, the spirit of punk and a rock zeal. Karen O is alternately seductive, spleen venting and desolate whilst retaining a playful and off kilter bearing. There is an ever present energy and power in these songs that is contagious. From the opening keyboards and rich guitar work of ‘Rich’, through to the screaming pop of ‘Date With The Night’, the gutter mouth vocals of ‘Black Tongue’, the teasing ‘Cold Night’, to the beautiful and tension filled ‘Maps’ this is full of potential (and an actual) singles. It has been said in other reviews that this is an excellent album, for a debut. For me, that sentence is 3 words too long – This is an excellent album.